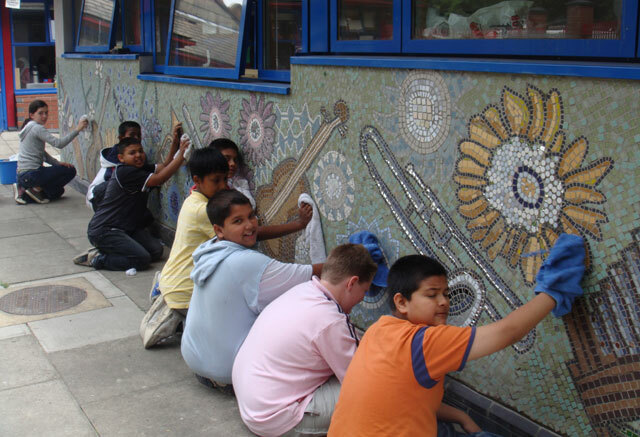 The third major project for this primary school, this time we were commissioned to make a mosaic to celebrate one of the most enjoyed subject in the curriculum: music! 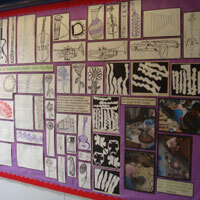 Children drew instruments from observation, as well as drawing rhythms beaten out on a drum. They also drew real flowers but keeping their pens in perpetual motion, as if their pen nib was a buzzing bee! The design included representations of rhythm and pattern, as well as beauty and movement. 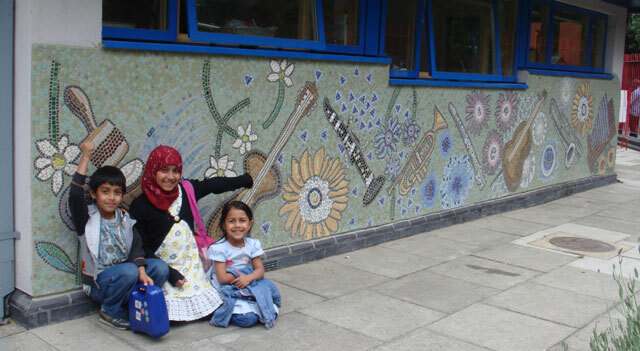 Visable to the whole community, this mosaic is walked past by hundreds of parents and children daily. 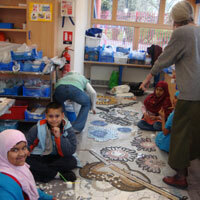 "I loved joining in and participating in the mosaic project. Me and my friends love it. The drawing exercises were great too. What made it even better was that it was a first time experience and we found a new interest so it really makes me want to go again. I really hope other people get an opportunity like this"
"I enjoyed doing mosaics and it taught me how to be more creative and how to glue tiles properly. 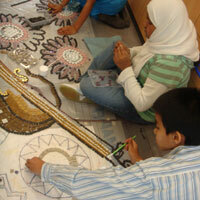 It’s really nice if you like being an artist and if you are interested in doing mosaics. You have to learn to glue them with gaps between and you don’t have to put them in one straight line. The drawing was cool because it was properly creative and unusual. Doing this drawing made me feel I could just express myself and draw anything I wanted. 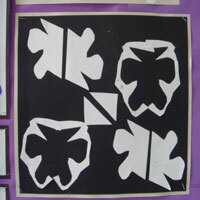 I enjoyed it because we learnt more about art and art is my favourite subject. I went to every lunch-time club." "The mosaic was quite complicated. We were drawing and sticking tiles on the mesh. It was really great since I’ve never done this before. The drawing exercise was inspiring since we had to draw the way people move. I really liked it. The mosaic was always colourful but I didn’t know that you could also use dark colours. It was also one of the most interesting activities of my life." "I enjoyed the after-school club. I liked being part of this project. I wish I could still be a part of it. The exercise I liked the most was when we had to pretend to be a bumblebee and we had to draw with our hand shaking. I also liked drawing the route from home to school using symbols. 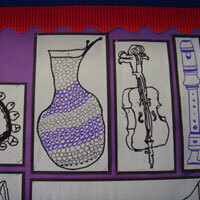 The other thing I liked was when we drew instruments. I am looking forward to seeing how it looks on the wall."